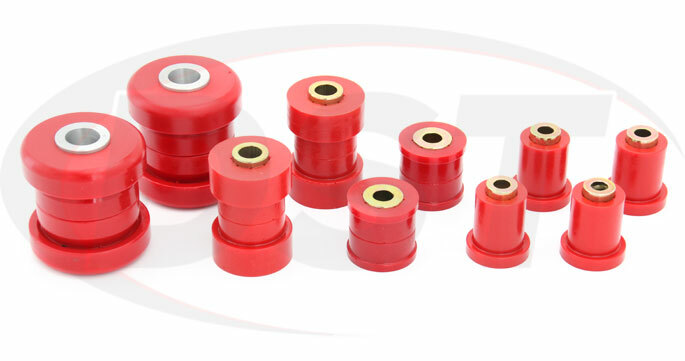 Polyurethane Front Control Arm Bushings from Prothane will replace rubber control arm bushings that are worn or degraded on your 2003-2009 Nissian 350Z or 2003-2007 Infiniti G35. Prothane's Front Control Arm Bushings are way better than rubber bushings at holding wheel alignment which means better traction and less wear on the edge of your tires. 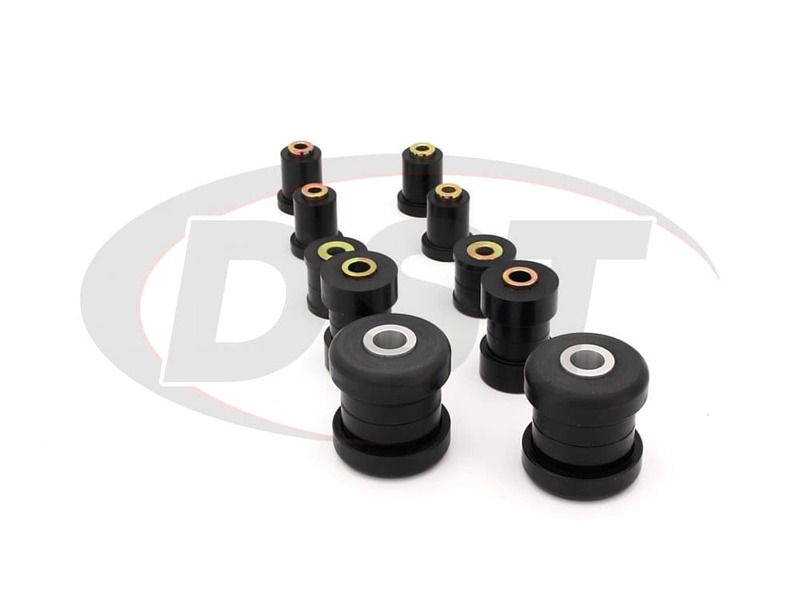 DST backs these bushings with an exclusive lifetime warranty.  What's Holding your Wheel Alignment? Steering is universally considered to be pretty important while driving, so the front control arms on your Nissan 350Z or Infiniti G35, which have a large impact on the alignment of your front wheels, need to be stable. 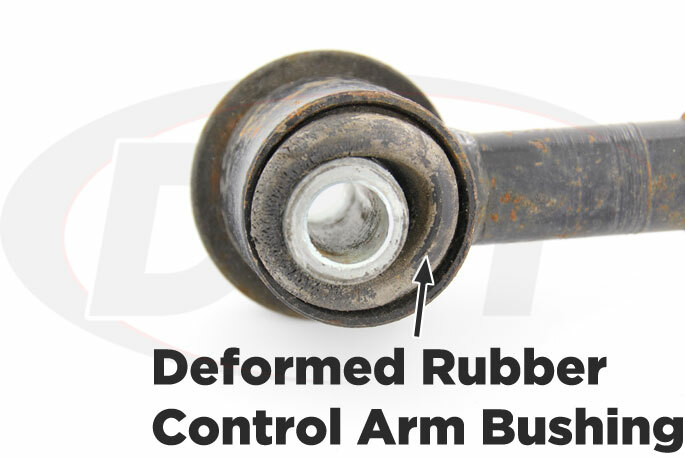 The problem is the original rubber bushings that hold the control arms to the frame begin to wear down as they flex to absorb vibration from the road. This means your front control arms are allowing your wheels to be thrown out of alignment, resulting in uneven tire wear and a loss of traction, especially during a turn. 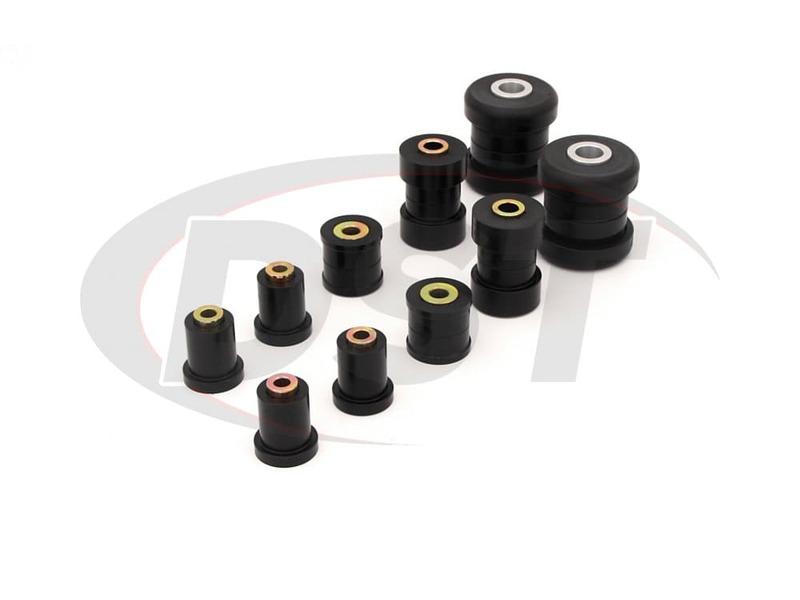 If you've noticed more wear on the edge of your tires or can feel your front tires letting go of the pavement in a hard turn, then you might consider replacing those soft rubber bushings with Prothane's Front Control Arm Bushings for the 350Z and G35. 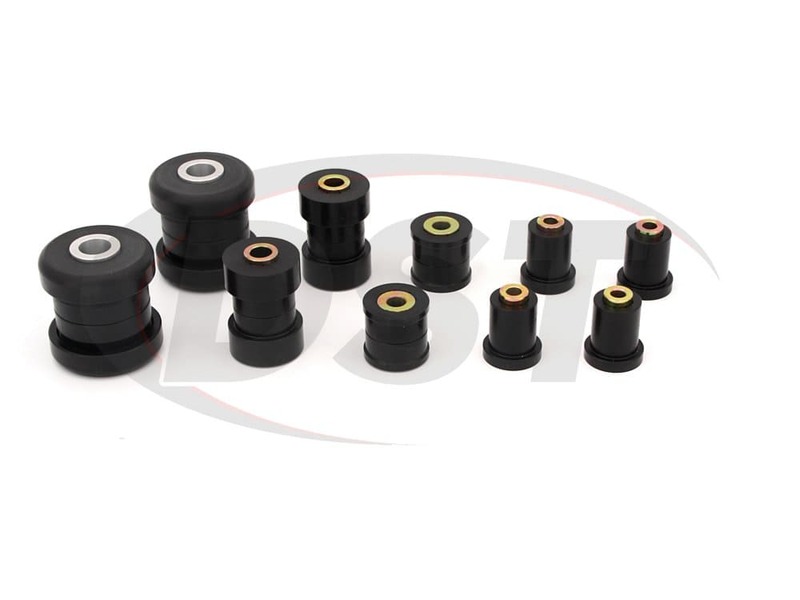 These polyurethane bushings will provide a more firm connection between the control arms and the frame, stabilizing your front wheel alignment. Polyurethane is much more durable than rubber, which will degrade with exposure to heat, road grime, and salts. 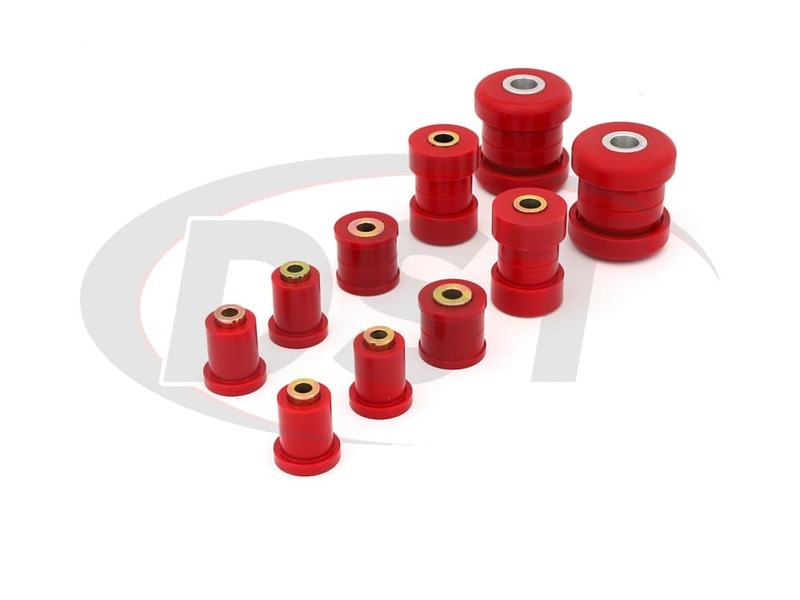 The problem that most people have with polyurethane control arm bushings is the increase in noise and vibration transferred from the road to the driver. Polyurethane is much firmer than rubber and it doesn't flex like rubber but it still provides an acceptable level of comfort while dramatically increasing steering response for the driver. 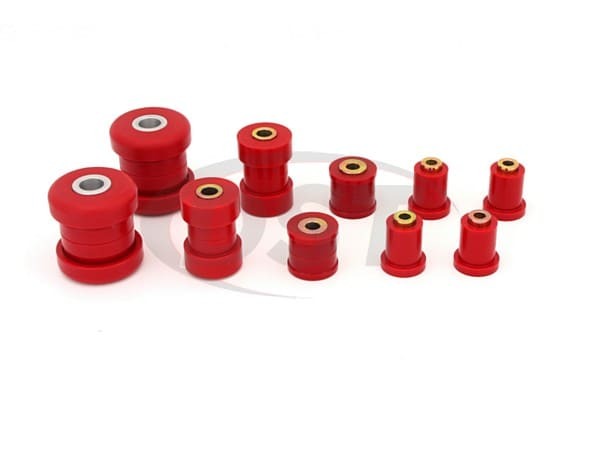 These bushings take care of the camber problem that rubber bushings cause, but still allow a level of cushioning. 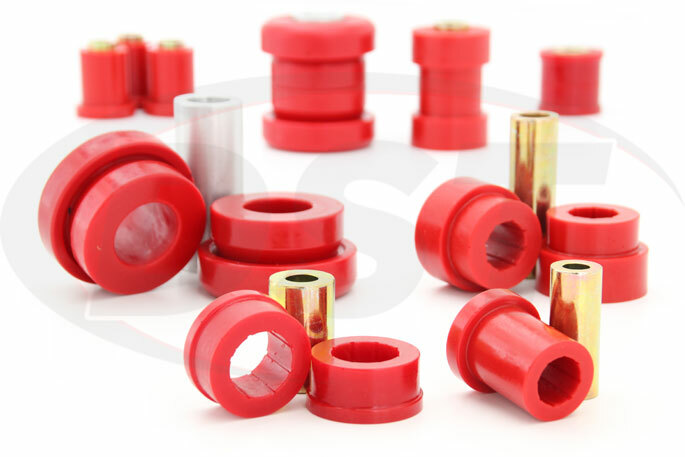 Prothane's front control arm bushings are designed to provide the best balance between performance and comfort. 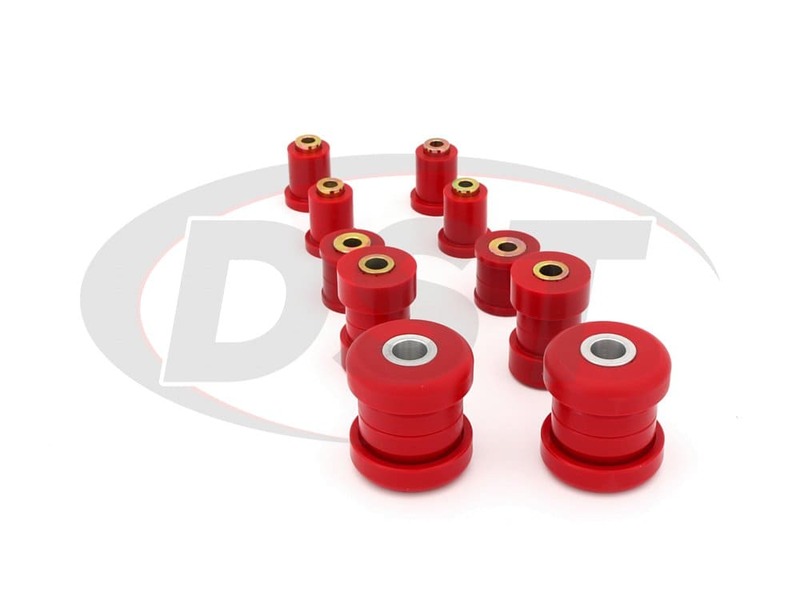 If enjoy taking corners at speed in your 350Z or G35 then you might want replace the original rear control arm bushings with Prothane's polyurethane rear control arm bushings or upgrade the sway bar with polyurethane rear sway bar bushings. 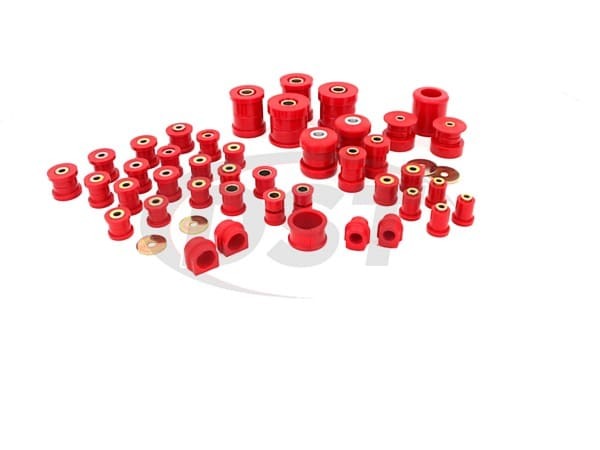 If you want to install polyurethane bushings throughout your car then Prothane's Total Kit for the 2003-2009 350Z and 2003-2007 G35 contains the polyurethane replacement for every bushing position. Fitment is guaranteed so you don't have to worry about trying to find every individual piece if you want to overhaul the entire suspension. starstarstarstar_borderstar_border" Nice ride, squeaked after 18 months "
I bought these bushings and I am having a hard time installing, is there any tricks to this? First you should always grease the bushings where they will contact metal, this helps keep squeaks away and helps them slide into the eyelets. Make sure to follow the install instructions and make sure each bushing is going into the correct position. Is it common to have to re-grease the bushings from part number 14210 after so many years? Yes, it is recommended to re-grease any polyurethane bushing every 2-3 years or when they start squeaking. When re-greasing, be sure to thoroughly clean the bushings first of any debris.